Before launching this week’s episode, the guys take a few minutes to pay tribute to the late Mike Wieringo. 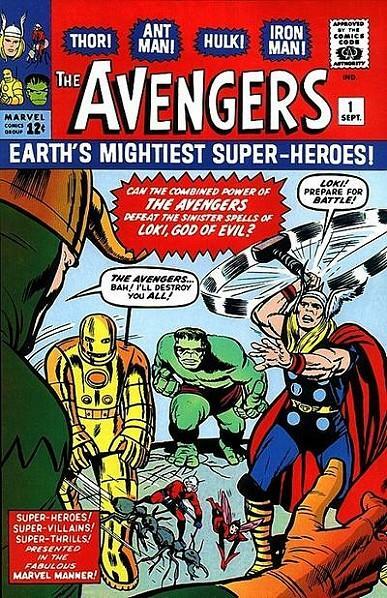 Then it’s time to tackle the best of Marvel’s premiere heroes, the Mighty Avengers! The guys dish on their all-time favorite Avengers stories, share some of your choices and talk about the current state of the three (or is it five?) Avengers titles. In the picks section, Blake sings the praises of Hack/Slash, while Chase bids a fond farewell to Peter David‘s Friendly Neighborhood Spider-Man. This entry was posted in Showcase Podcast and tagged Avengers, Friendly Neighborhood Spider-Man, Hack/Slash, Mike Wieringo, Peter David, Spider-Man. Bookmark the permalink.